Here’s the great news and good incentive for executives and professionals looking to RELOCATE to the sunny, mile-high state: Denver’s local economy is highly diversified. In fact, “Colorado’s economy is broadly growing at a healthy clip, and so it comes in as the overall winner” among the nation’s top economies, as declared by a report from Business Insider . LUXURY homes and sophisticated condos abound in the city of Denver, if you know where to look. For those of you considering or initiating a move, here are the top 5 neighborhoods with an URBAN contemporary, yet classic, feel. Each neighborhood has its own appeal, offering a unique dwelling and community experience that is well worth the move. 1) DOWNTOWN DENVER — Luxury Denver Condos: Location, location, location. Living downtown is all about the convenience and lifestyle such a lively location affords. Gorgeous mountain vistas, up-and-coming architecture, exquisite dining, green spaces, arts & entertainment, and high walkability all make Downtown Denver an ideal place to live. To add to the excitement, several notable luxury high-rise residences and condominiums have emerged in recent years, including: the Four Seasons Private Residences and Spire, both located in the heart of Denver’s theater district; the Glass House, located next to the new landmark Union Station depot; One Lincoln Park, located at the crossroads of Downtown’s main thoroughfares; and Residence XXV, exclusive residences located in the heart of Downtown atop the Ritz Carlton Hotel. Each of these exquisite, modern residences comes complete with indulgent amenities, breathtaking views, and designer living spaces. Stay tuned to our blog for further descriptions and enticements of each. 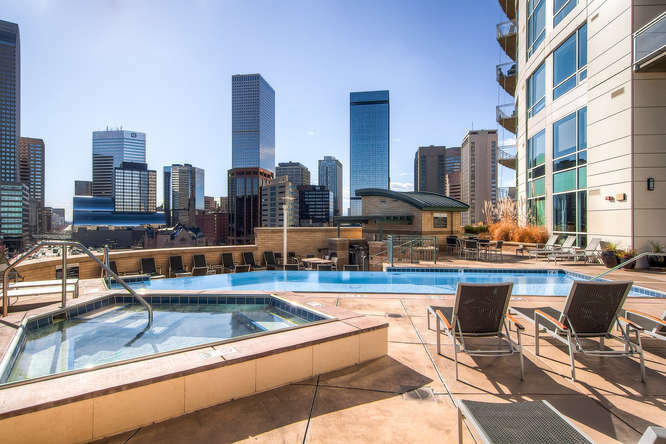 Downtown Denver is bounded by Broadway, Colfax, Speer Blvd, Larimer, & Park Ave.
Click here for a listing of current Luxury Downtown Denver Condos on the market. 2) CHERRY CREEK NORTH (3 miles southeast of Downtown Denver): The Cherry Creek neighborhood is named after the meandering Cherry Creek which runs to the south, with 22 miles of running trails and bike paths along its banks. This neighborhood is an upscale enclave where ultra-modern, exquisite luxury homes, town-homes and condos mingle with charming, tree-framed bungalows. Cherry Creek hosts Denver’s most prestigious shopping center, the Cherry Creek Mall, as well as the fashionable salons, boutiques, art galleries, restaurants and cafes of Cherry Creek North (a pedestrian-friendly place to see and be seen.) This charming 16-block outdoor shopping and dining district also hosts the annual world-class Cherry Creek Arts Festival in July. The Cherry Creek neighborhood is bounded by 6th Ave, Colorado Blvd, Alameda & University. Click here for a listing of current Cherry Creek North Properties on the market. 3) HILLTOP/CRESTMOOR (4.5 miles southeast of Downtown Denver): Full of architectural diversity and charm, the adjacent neighborhoods of Hilltop and Crestmoor are considered to be two of the most sought-after communities in Denver. These neighborhoods attract home buyers with the quality of lifestyle offered: wide safe streets, ease-of-access to shops and restaurants, excellent public schools, and proximity to downtown Denver and Cherry Creek. Three parks grace the neighborhoods, but Cranmer Park is at the center of it all, offering 23 acres of open space and playing fields. These immaculate neighborhoods feature beautiful yards, large lots and stately trees, with a nice mix of grand old homes & new, modern classics. The Hilltop and Crestmoor neighborhoods are bounded by 6th Ave, Alameda, Monaco Pkwy & Colorado Blvd. Click here for a listing of current Hilltop properties on the market. Click here for a listing of current Denver Country Club properties on the market. 5) “WASH PARK” (3 miles south of Downtown Denver): Washington Park is an old Denver neighborhood with mature shade trees, quiet streets, and a mix of well-cared-for tudor-style, bungalow, and high-design modern homes. Known as “Wash Park” for short, the Washington Park neighborhood is distinctive and charming, and is centered on one of Denver’s best urban green spaces. Wash Park attracts residents who can afford the area’s ever-expanding homes. The park covers 165 acres and features a popular running/biking trail, two scenic lakes, and the city’s largest flower garden. The Washington Park East Neighborhood borders the east side of the park and boasts a large degree of bucolic charm, complete with stately homes and tree-framed bungalows. Though still idyllic, West Wash Park to the west of the park has a livelier vibe as it is bordered by the main thoroughfare leading into Downtown Denver. The Wash Park neighborhood is bounded by Alameda, Buchtel, University & Lincoln. Click here for a listing of current Washington Park properties on the market. Let us show you more than just homes. 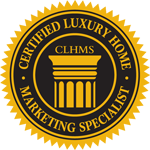 Let us show you the distinct client services we provide as Your Luxury Real Estate Partner. Call the Denver Luxe Team at 720-440-2640 and bring your greatest expectations.